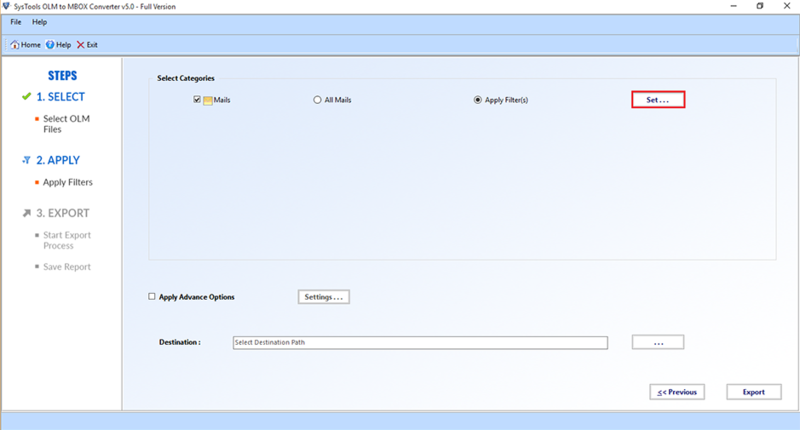 Provides high speed, solution to reliably migrate the data from the OLM file into the MBOX file format. After converting into MBOX, users are free to transfer their mails into any other email client like to Thunderbird, Netscape, Opera Mail etc. With this Hi-Tech utility you can easily convert the data from OLM files of any size into the MBOX file format, So no need to be panic about the size of OLM file, Just go with the tool and enjoy the conversion without any fear of the loss of data. Quality quotient allied to OLM Files Conversion. 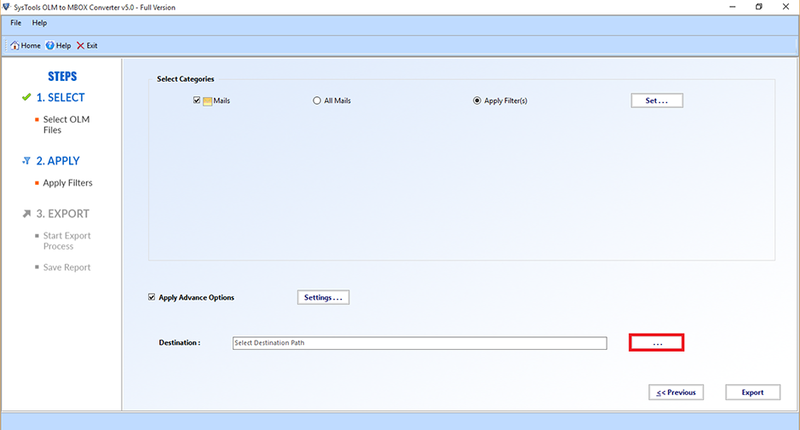 This option will enrich you with a facility of exact folder mapping of the source folders of OLM file into MBOX file. OLM to MBOX Converter is capable enough to map the user defined folders(i.e.created by user). Along with the ensured transfer of entire data from OLM to MBOX file format, Software generates export report. With the help of that, you can view the entire process of migration like amount of data , number of files exported and many more. As per update in technology, OLM to MBOX converter is also not lacking behind. With the data transfer of Outlook 2011 OLM file,the tool is also very much reliable for converting the Outlook 2016 OLM data. Every email is comprised of the important information known as meta : cc, bcc, to, from, received and sent date, attachments, hyperlinks. During the conversion, the software reliably take care of all the meta properties without any data loss. The software ensures the transfer of emails from OLM file with all attachments including inline images. The OLM to MBOX exporter software does not lose any data while converting Mac Outlook 2016, 2011 OLM files to MBOX file format. No, The software is only compatible with Windows OS. Yes, you can install the software on latest Windows 10 pc. Apart from this, it also supports the later version of Windows operating system. 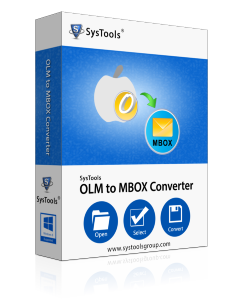 OLM File to MBOX converter full version does not impose any file size limitation to export Mac Outlook 2016 to MBOX file. But there are certain limitation imposed by the demo version of the software. With the demo version of software, you can only convert 25 emails per folder to MBOX format with attachments. Few days back, my office colleague has send me archive data of Mac Outlook. 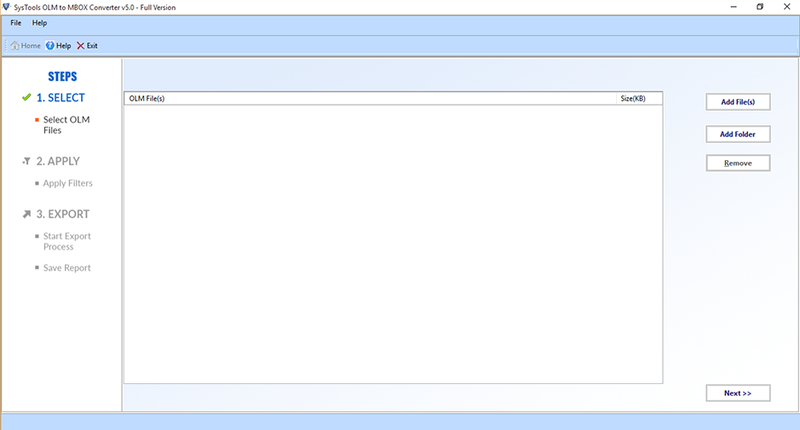 As Windows user, I was unable to access the files. Then someone has recommended to try OLM File to MBOX converter software. With the help of the software. I easily convert OLM files with embedded images and attachments. Now, I can easily access OLM files into multiple open source email clients. Earlier, I used Mac Outlook for business email communication. But now I want to switch from Mac Outlook to Mac OS default email client i.e. Apple Mail. But there was problem in accessing the files on Apple mail. But with the help of OLM to MBOX migration tool, I easily access all data into Apple mail. Thanks for the software.